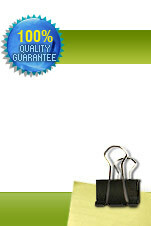 On that page you will find detailed information regarding customization service. What that service represents and how much does it cost. Don't waste your valuable time! Let us to serve you. Our professional designers are at your disposal and will do their job on a highest level. we would like to offer to our customers, is very nice service. If you are not familiar with flash or HTML, or may be you have no time for this, just tell us what would you see in your template and what should be your text. The rest is our work. 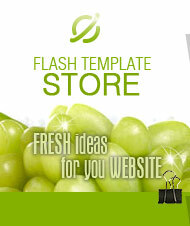 Standard customization service for any our template costs $179.99. This is really the best price for this service. Please check the price yourselves with others. What does it mean "standard customization? It means just reorganization of the template you bought in our store. Change images, buttons and text in the quantity that is in your template. For example if your template contains 5 images, we will replace them with the images you want but in the same quantity - 5 pcs and so on for the buttons and texts. What if you like more images, text and buttons? In that case this is the subject for the detailed negotiation. This extra work also will cost extra money, but believe, very reasonable price. We consider, that you already bought the template. If no, you need to choose and buy it. After that you can start customization. Customization Term: Customization work takes 5-7 business days from the moment of reception of all necessary information by us from you! Step 2. Take a look at you template carefully. Discover all pages, texts and images on each page and decide, which pictures, texts and colors you would like to change. It means, that in the section "PRODUCTS", along with the text which is in the file products.doc, must be placed the image under the name pict1.jpg. Step 4. Collect all your picture files and give name to each picture like pict1.jpg, pict2.jpg, pict3.jpg and so on. zip or rar all of them together and send them.